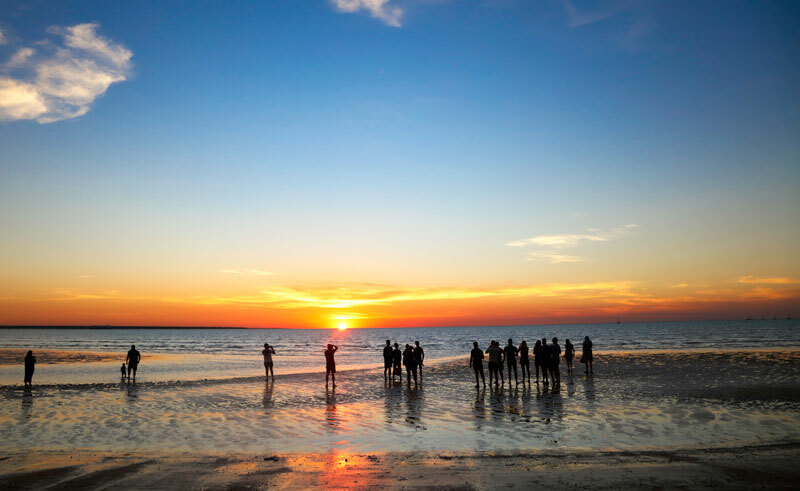 Explore the pristine beaches and lush rainforest of Northern Queensland as well as discovering the rust red outback and spectacular gorges that characterise the Northern Territory on this spectacular two week itinerary. Travelling by road, rail and air, this itinerary showcases the best of Australia's north. Stay in charming Palm Cove and explore the reef, rainforest and islands, snorkel in the Great Barrier Reef and trek the World Heritage-listed Daintree Rainforest. You'll visit the awe-inspiring attractions of Australia's Red Centre, including Uluru- Kata Tjuta National Park and the gorges of the West MacDonnell ranges. Travel onboard The Ghan, one of the world's greatest train journeys, and watch as the dusty plains make way for tropical splendour as you roll into the city of Darwin. Your journey will end here where you'll search for saltwater crocodiles and colourful birdlife in Kakadu National Park. On arrival at Cairns Airport you will be transferred by private vehicle to your accommodation. Palm Cove is an excellent base for access to the Great Barrier Reef and the Daintree Rainforest. These two World-Heritage-listed areas are incredible and there is so much to see and do in the region. Spend the rest of your day at leisure. 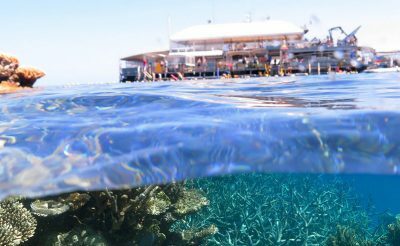 Enjoy a full day Outer Barrier Reef cruise. 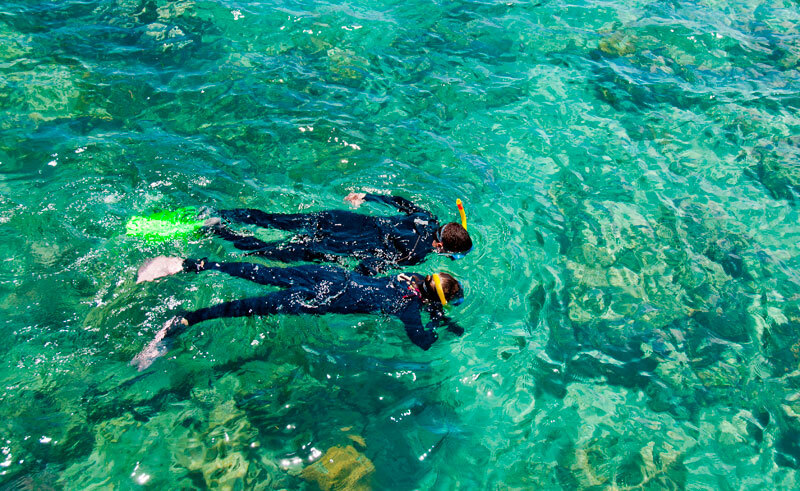 Snorkel in the sheltered coral lagoon, go scuba diving (no experience necessary) or join the marine biologist on a guided snorkel safari. Palm Cove is home to lovely boutiques and spas and an idyllic stretch of beach. Spend today at your leisure. Today you'll join a unique and fascinating full day Daintree Dreaming tour where you will learn first hand about bush tucker and medicine, how to throw a spear and how to search and hunt for fish, mud crabs and mussels. Set foot into one of the world's oldest and most beautiful rainforests on the planet, the World-Heritage-listed Daintree National Park. 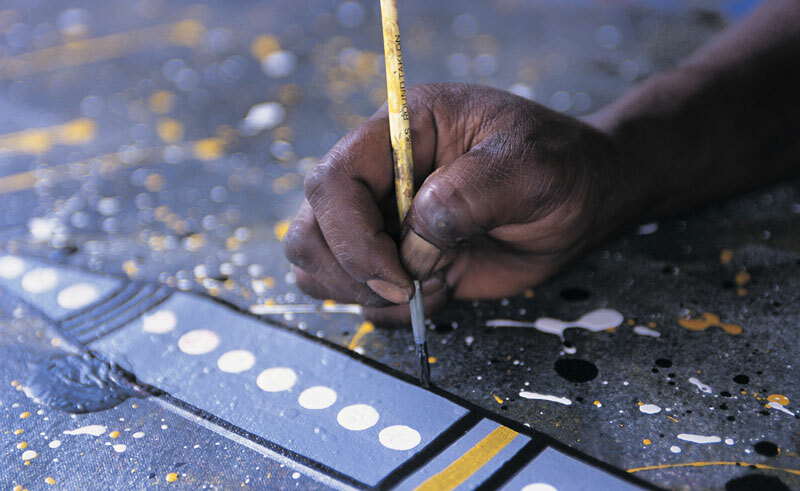 Tour highlights include swimming at Mossman Gorge and a local Aboriginal Art Experience at Janbal Gallery. Today you will be transferred by private vehicle to Cairns Airport. Fly to Ayers Rock (flight cost not included) and on arrival collect your 4WD rental vehicle. Make your way to your accommodation and spend the rest of your day at leisure. World-Heritage-listed Uluru is one of Australia's most iconic symbols. Located in the heart of Uluru-Kata Tjuta National Park in Australia's Red Centre, Uluru is an ancient landscape, rich in Australian indigenous culture and spirituality. There are many ways to experience the majesty of Uluru and the beauty of this unique desert landscape. 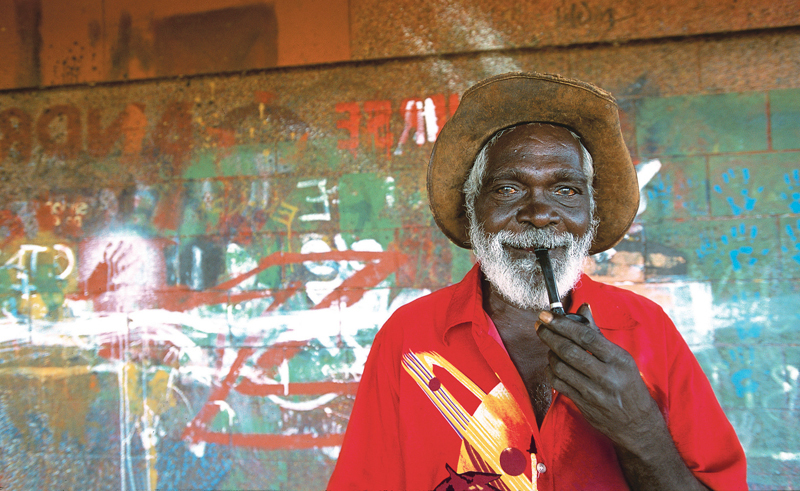 Take a walk with an Aboriginal guide and learn about ancient traditions and stories from the Dreamtime. Ride across the desert on a Harley Davidson motorcycle or on the back of a camel or see it from the skies by hot air balloon. 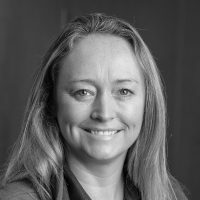 Tonight you'll experience the Sounds of Silence dinner at Ayers Rock Resort and learn about the tales of the southern night sky with a 'star talker'. Feast on authentic Australian delicacies such as barramundi, kangaroo and crocodile, complemented by fine Australian wines. Today you'll start your journey to Alice Springs, stopping overnight in Kings Canyon. This ancient sandstone canyon soars above dense palm forests and is part of the Watarrka National Park. Make your way to Alice Spring. This afternoon you might like to climb to the top of Anzac Hill for sweeping views over Alice Springs and the distant MacDonnell Ranges. The day is free to explore at leisure. Connect to rich Aboriginal traditions, awe-inspiring landscapes and pioneer history in Alice Springs. Today is free for you to explore, you might like to experience an outback adventure on a camel trek or take a 4WD tour through the prehistoric terrain of Finke Gorge National Park. Later return your rental vehicle. 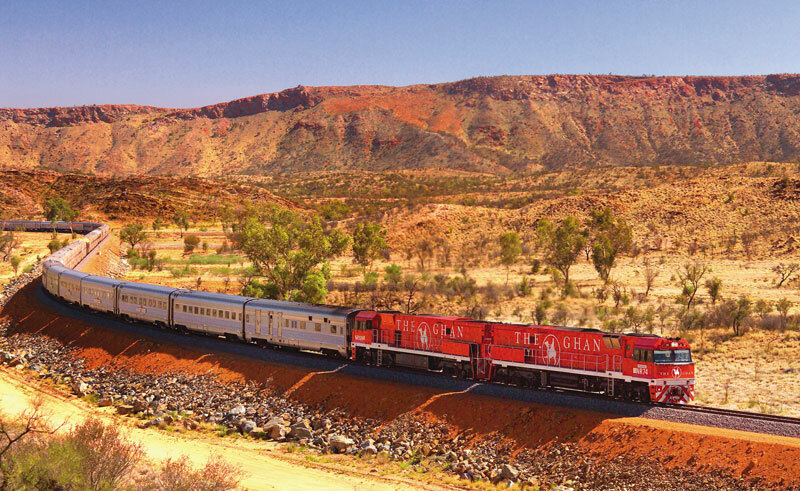 Today you'll travel on one of the world's greatest train journeys, The Ghan. Travelling in Gold Sleeper Service you'll spend the night onboard. Watch as the dusty plains make way for tropical foliage as you roll into the city of Darwin. Your Ghan journey ends in Darwin where your adventure will continue in the nearby parks, harbour, historical attractions and outdoor festivals and markets. Spend the rest of your day at leisure. Enjoy a full day tour in the Kakadu National Park. Travel on the Arnhem Highway across the Adelaide River and Marrakai Plains. Stop at Nourlangie and view ancient Aboriginal rock art. After lunch you'll join the local guide for a cruise on the famous Yellow Water Billabong. Search for saltwater crocodiles and colourful birdlife. Visit the Warradjan Cultural Centre with informative displays depicting the traditions of the Aboriginal people in Kakadu. Return to Darwin by early evening. Today you'll join a one hour wetland discovery cruise on the Corroboree Billabong. 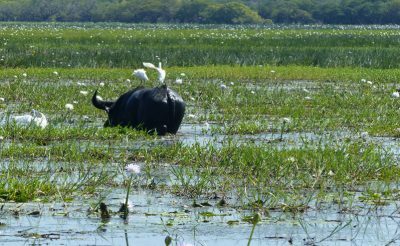 You will have the opportunity to see the wildlife of the wetlands up close and you'll then travel with a guide and learn about the local history and culture in a bush tucker walk. Billy tea and damper in the bush is also included. The rest of your day is at leisure. Today you will be transferred to the airport for your departure. 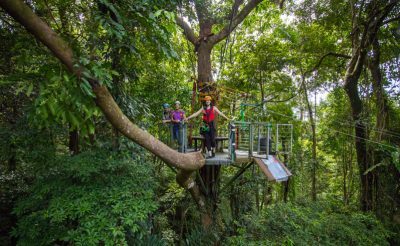 Embark on a voyage of adventure as you fly through the trees in the pristine Daintree Rainforest on this jungle surfing canopy tour. Departing from the Port Douglas Marina on board a high-speed, wave-piercing catamaran, this cruise carries guest to the outer reaches of the famous Great Barrier Reef. 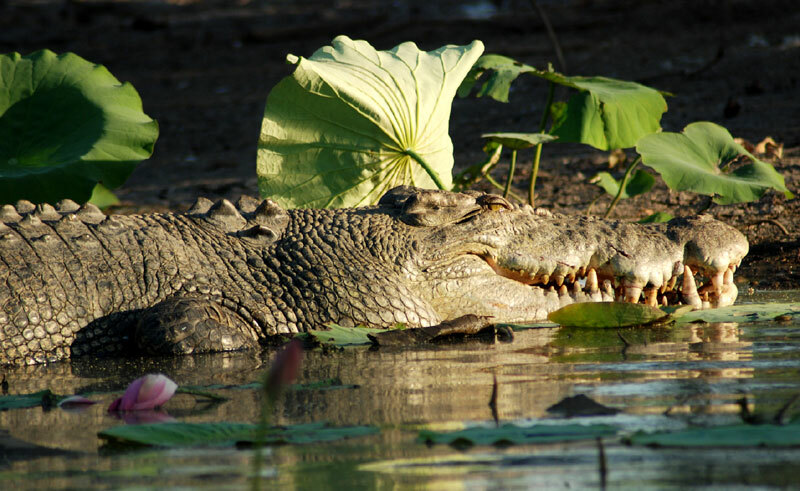 Experience the remarkable wildlife of Kakadu National Park on this fascinating Yellow Water Billabong cruise. Tour in comfort on this comprehensive exploration of The Northern Territory.